Jay Z and Beyoncé Knowles didn’t attend Kanye West and Kim Kardashian’s wedding in Florence, Italy, as reportedly they opted to spend a quiet weekend in The Hamptons, New York instead. 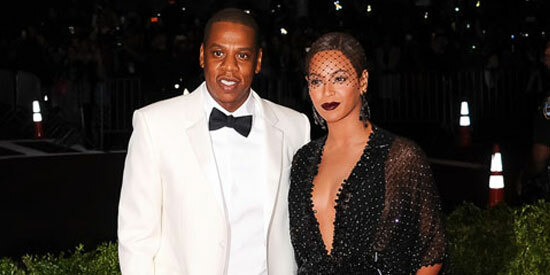 Jay Z and Beyoncé Knowles did not attend Kanye West’s wedding. The "Holy Grail" hitmaker, who was expected to be his close friend and collaborator’s best man, reportedly decided to spend the weekend with his wife in The Hamptons, New York, in favor of attending the rapper’s nuptials to Kim Kardashian, 33, in Florence, Italy, Saturday, May 24. Sources told UsMagazine.com that Jay, 44, bailed on the couple’s wedding at the Forte di Belvedere at the last minute, as he wanted to enjoy a quiet Memorial Day holiday weekend with Beyoncé and their two-year-old daughter, Blue Ivy. Shortly before the extravagant wedding got underway, the "XO" singer, 32, who is said to have a "frosty" relationship with Kim, also signalled to fans she wouldn’t be present, as she posted a make-up free photograph of herself in bed on Instagram. Jay and Beyoncé’s absence came as a surprise, as the rapper has been friends with Kanye, 36, for more than 14 years. The "Bound 2" hitmaker first came to prominence on the rap mogul’s influential 2001 album The Blueprint and they have collaborated many times since then, including on their album Watch The Throne in 2011, which later saw them embark on a sold-out world tour together. Jay Z previously admitted he felt like Kanye’s big brother. Asked about their decision to tour together, he said: "It actually was really easy because of the relationship. It’s always been a big brother thing and a respect thing." A small number of celebrities jetted to Italy for the couple’s celebrations, including John Legend’s model wife Chrissy Teigen, actor Jaden Smith, rappers Tyga and Big Sean, and fashion designer Rachel Roy. Jay Z’s sister-in-law Solange Knowles attacked him in an elevator at the Met Gala after party on May 5 because she reportedly thought he was flirting with Rachel in front of Beyoncé. P Diddy sent the couple his best via Twitter, writing: "HUGE blessings and congrats to @KanyeWest and @KimKardashian!!! Love is a beautiful thing!!"